Intrinsic Perennial Gardens, Inc. is a wholesale container nursery growing mainly 1 gallon perennials including tender perennials, ferns, grasses, shrubs and vines. We propagate around 80% of our own material. Roughly 1/3 is done by seed, 1/3 by cuttings and 1/3 by division. 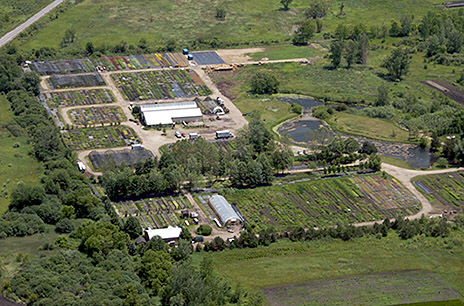 For propagation purposes we have 1 acre of field beds totaling 11,000 square feet for plug production.Intrinsic Perennial Gardens Inc. started in 1992. Currently we list over 900 varieties. We have also selected, bred and introduced several varieties into the trade.